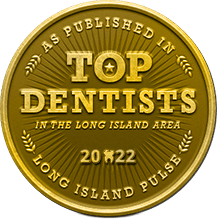 How Fragile Are Porcelain Veneers in Long Island? Like pretty little dolls and your grandmother’s prized tea set, some of life’s most fragile things are porcelain. So that’s got to mean that porcelain veneers are likely to break, right? Well, not really. After all, we wouldn’t recommend a restoration that could easily malfunction. If you are considering porcelain veneers in Long Island, you can look forward to beautiful, sturdy teeth in a matter of weeks. Keep reading to learn how just how fragile those porcelain veneers really are (or aren’t) from Dr. Allan S. Mohr. Dental porcelain is remarkably similar to the natural tooth enamel. It works so well for cosmetic treatments like porcelain veneers because it reflects light in the same way as the rest of your teeth, for a remarkably natural-looking transformation. And despite what you may be inclined to think, dental porcelain is also sturdy enough to withstand normal pressure — or as much as your natural teeth would, anyway. Would porcelain veneers withstand being hammered or run over by a truck? No, definitely not. But you (hopefully) won’t need them to be, anyway. There is one way in which dental porcelain differs from your natural teeth, and that’s in the fact that veneers are very slow to stain. Your natural teeth absorb the colors from the foods and beverages they are exposed to over time — but your dental veneers will stay the same beautiful shade of white for years after their application. And if they do start to fade or lose their sparkle, a quick polish from Dr. Mohr is all you will need to dazzle once again. Dental veneers can last for years with proper care. What can you do to keep your porcelain veneers intact and functioning properly for as long as possible? Make sure you’re taking excellent care of them with solid oral hygiene habits. Brush and floss regularly, and continue to visit your dentist for routine checkups and cleanings. 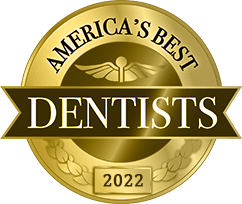 We will monitor your smile for evidence of tooth decay or gum disease and make sure your porcelain veneers continue to stay sturdy in your smile. If you play contact sports or grind your teeth at night, consider investing in a custom-fitted mouthguard to protect your dental veneers from excessive force and impact. Dr. Mohr provides Under Armour mouthwear for athletes of all ages! Are you interested in remaking the appearance of your smile? 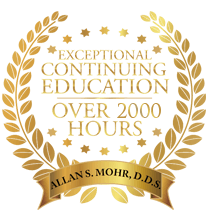 In many cases, porcelain veneers do the job better than anything else — and Dr. Mohr is an expert at the cosmetic treatment. Request an appointment to discuss what’s possible with your smile today! by: allanmohr at May 16, 2017 . 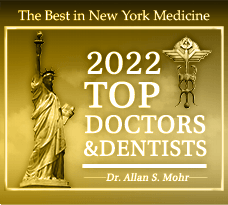 Comments Off on How Fragile Are Porcelain Veneers in Long Island?